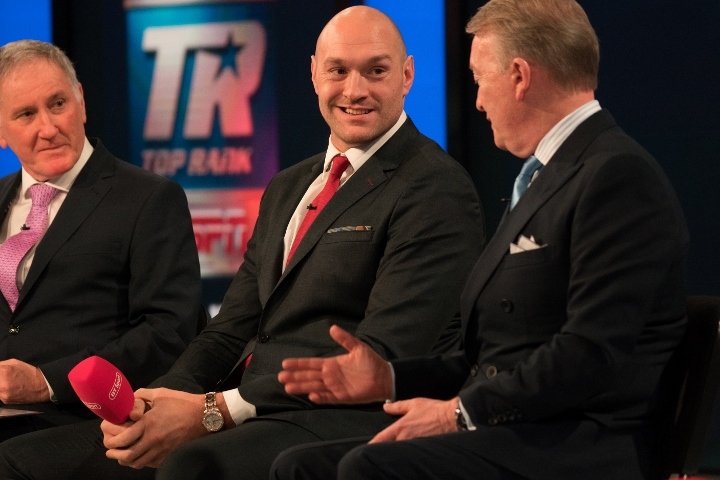 Tyson Fury is heading to Las Vegas to fight Tom Schwarz in his first return to the ring since a dramatic bout with Deontay Wilder last December. Fury will take on the German, who has won all 24 of his fights, on June 15 at the Thomas & Mack Centre, boxing management company MTK Global said. Fury said he was excited to be returning to America after overcoming two knockdowns in a controversial draw against WBC heavyweight champion Wilder in Los Angeles last December. Ben Davison, who trains Fury, is not taking the unknown Schwarz lightly. Fans, on the other hand, are not very pleased with the fight. “You can’t win, can ya? A few names got sent across and we had a look. We don’t want to make the adjustment of somebody big [in size] to somebody small to have to go back to somebody big, because the other two elite fighters that we’re looking to make fights with are obviously 6ft 6in plus. That was a criteria - that we wanted somebody big. We wanted somebody in the top five and who have you got?," Davison told IFL TV. “Miller’s taken up by Joshua, Breazeale’s taken up by Wilder. Tom Schwarz [is] number two with the WBO, also number nine with the IBF - so he’s ranked in the top 10 with the two organisations. When the fight got sent to us as well he was ranked number 11 on BoxRec, but all of a sudden that got changed (he’s now 42nd). [QUOTE=Granath;19615251]Let's tl;dr that article "Because he's big, slow and has no chance...and I'm lazy"[/QUOTE] Beat me to it nice post.Anybody saying this fight is not joke has a pic of Fury over his bed. [QUOTE=kafkod;19620131]Fcking hell! Do you expect anybody to believe sh[B]i[/B]t like this? And you get offended when people call you a liar! [/QUOTE] Don't care what you believe. You're entitled to be wrong.